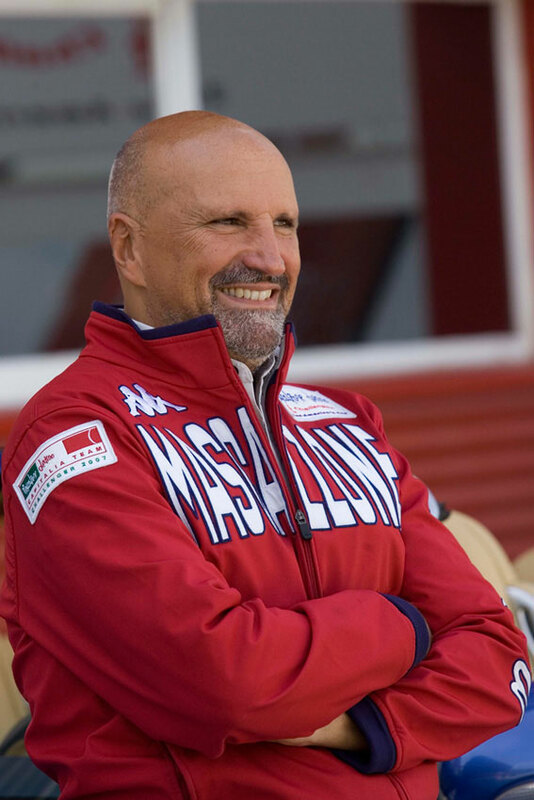 Throughout the legal battles between GGYC & SNG, Mascalzone Latino supremo, Vincenzo Onorato, has been scathing in his criticism of Alinghi and the AC33 protocol. Marian Martin asked Vincenzo Onorato (by e-mail) to enlarge on some points in his letter and comment on other aspects of the latest situation. You recently issued a statement that said "Now that there is only one last chance left for an appeal, last week’s decision by a New York court to re-instate CNEV as Challenger of Record puts the whole future of the America’s Cup at risk. For if their decision stands, our sport’s premier match will come to an end as a genuine sailing competition." The America’s Cup has gone through various tribulations in the past, but has always survived and continued to be sailing’s premier match. Can you explain why you think this court decision will (if it stands) bring that to an end? Vincenzo Onorato: Because it will be a Cup where Alinghi will decide unilaterally on everything : rules, judges, umpires will be decided by them and that’s why I used the word "Alinghi’s Cup" instead of "America’s Cup". You also asked "What sort of event will it be when a sham COR has already connived at ensuring the defender can’t lose?" Even before Alinghi was in the America’s Cup, Ernesto Bertarelli seemed to be someone who got a kick out of winning races. Why would he want to engineer an AC event that he couldn’t lose? Where’s the fun in that? Also, why did Mascalzone challenge, if you were convinced you hadn't any chance of winning? VO: We launched the challenge because we wanted to be in with fair rules and we will fight for that. Marcus Hutchinson told BYM last year "All the protocol changes, plus the design rule you've read, the competition rule you've read and the event rule that you will read soon have been produced in consultation with everyone involved in the 33rd Cup and that means they've been produced on a fully democratic basis." He wasn’t the only challenger to express satisfaction with the revised protocol and the announced rules. Why do you still think it was so bad? VO: A protocol where Alinghi has the total control on judges, umpires (see my letter) … is this fair? Sir Keith Mills has put forward an idea that has both CNEV & GGYC stepping down and RTYC, or some other Club, taking over as CoR for a multi-challenge AC33. That would mean that SNG would be negotiating with a very long established yacht club, so - on the face of it - it seems like a reasonable suggestion. Would it be a good solution in your opinion? If so, do you think both sides could be persuaded to agree to that? VO: This is a question you should turn to Alinghi. There has even been talk of the King of Spain getting involved in trying to broker a settlement. Do you think he, or anyone else, could bring about some compromise that would get the America’s Cup back on the water? VO: As Mascalzone Latino, we already tried once but Alinghi never even reply!. There seems to be consensus that it will be a very long time before the GGYC appeal is ruled on. How can that be in the interests of the challengers, including Mascalzone? 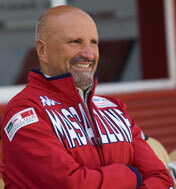 VO: The interest of Mascazone Latino is to have a fair competition. You’ve kept the nucleus of the Mascalzone team together by competing in other international events. Can you continue to do that indefinitely? VO: I am trying to keep the team together. "With the benefit of hindsight, do you think that we would now be looking forward to AC33, in 2009, if GGYC had got together with the other challengers and entered into negotiations with SNG, before going to court?" "If the Appeal Court up holds the Appelate Division ruling and there is a multi-challenger AC33 will you participate?" "Let’s assume there is a DoG match and BMW Oracle wins, what do you expect their AC34 format to be like?" "If AC34 were to become a multi-challenger event in massive multihulls would you be able to mount a campaign, or indeed would you want to?" "Is there any formula that you think could get the two sides together, so the America’s Cup can get back on the water quickly?" Was this an oversight, or that you didn't want to answer them? VO: I missed those questions because I have no answers.